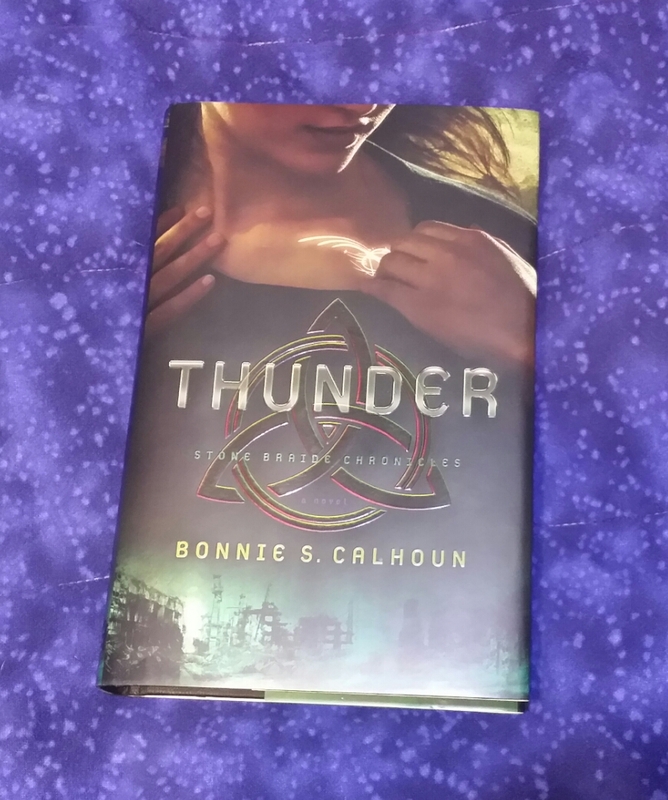 As an avid reader of fantasy, science, fiction, and young adult novels, when I heard about the book Thunder, I knew it would be right up my alley. Set in a post-apocalyptic, dystopian* society, the descendants of those who survived The Time of Sorrows either live off the land in a somewhat primitive way, while trying to determine what is still “safe” to eat, or they are part of the self-contained Mountain people (aka The Company) who carry out mysterious scientific experiments with the benefit of technologically advanced equipment. I would describe the overall story as a combination of action, adventure, young romance, and science fiction. It is also a bit of a coming of age book where the teens within (Selah and Bodhi as well as others) are learning about themselves and the world around them, as they strive to not only make the right decisions but to survive. As you meet the various characters and follow along on the journey/quest with them, you will enjoy a tale (told from various points of view) full of secrets, lies, danger, corruption, friendship, betrayal, hope, and love, while all along a battle between good and evil simmers below the surface. From reading other reviews, I understand that some readers felt that this book did not have a deep enough spiritual tone (coming from a Christian publisher) or that it lacked any mention of faith or spiritual content, I felt like the spiritual references were subtle and intriguing (e.g., references to the Kingdom, the Presence, and one of the experiments being called an “abomination” to name a few). However, I admit that there were a lot of things that were not explained in this book that I would hope are either covered in the FREE e-book prequel—Tremors (which is now available online) or that things will become clearer in book two: Lightning. Perhaps the Landers, who are referred to as Immortals, are angels or some other type of spiritual being; I don’t really know at this point. The good thing about this subtleness, in my opinion, is that those who are not familiar with Revell as a publisher of Christian books will enjoy the adventure, action, and mysteries contained within the story without realizing that there is an underlying message of hope and redemption. A message that will, hopefully, become clearer later on in this series. Overall, I enjoyed the book and am looking forward to more to come. Hidden in the tall grasses along a shore littered with the rusted metal remnants of a once-great city, a hunter crouches. It is the eve of her eighteenth Birth Remembrance and high time she proves to herself and her brothers that she can stand on her own two feet. Selah Rishon Chavez waits not for game but for one of the small boats that occasionally crash against the desolate shoreline. Because inside one of these boats she will find her quarry—a Lander. These people from an unknown land across the ocean are highly prized by the Company and bring a good price—especially if they keep the markings they arrive with. Everything falls to pieces when the Lander whom Selah catches is stolen by her brothers, and Selah wakes the next morning to find the Lander’s distinctive mark has appeared on her own flesh. Once the hunter, Selah is now one of the hunted, and she knows only one person who can help her—Bodhi Locke, the Lander her brothers hope to sell in the Mountain. The following post is not my writing, but I absolutely LOVE the content and wanted to share these thoughts with my own readers. 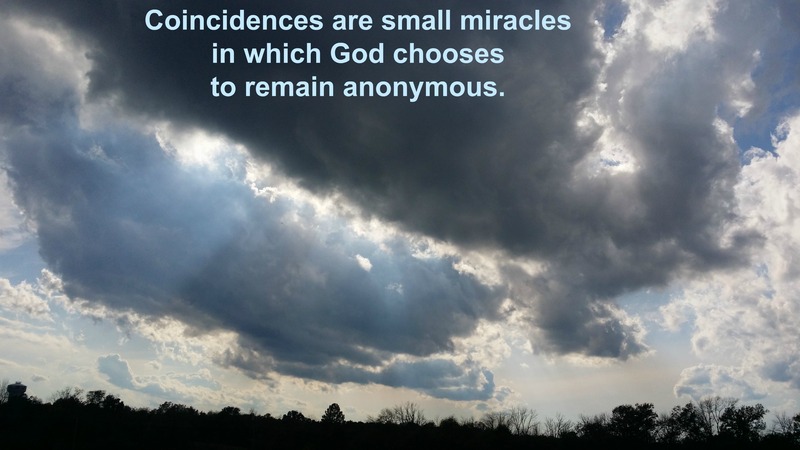 Some of you may have seen this on my Facebook page, but for those who I am not connected to (or who are not on Facebook), I hope you enjoy this article by Rachel (originally posted September 26, 2014). Hop on over to her webpage NourishingMinimalism.com to read more of her content. What do you think of, when you think of “minimalism”? Do you think of stark white walls, no pictures and very little furniture? Well, you may be right to an extent. But minimalism is much more than a design style or appearance of one’s home. Minimalism is as much about pitching unnecessary possessions out of your home as it is about pitching unnecessary hurts, obligations and expectations out of your heart. It’s an all encompassing philosophy that works it’s magic in every fiber of life, for those who embrace it. Minimalism is letting go of overcommitted schedules and being able to enjoy life, not just surviving it. It means saying “no” to working overtime, “no” to a multitude of obligations, that you would be really good at, but obligations that would rob you of what really matters. It means putting the phone down, walking away from the computer and being present in the moment. Minimalism is letting go of the guilt and anxiety that these things kept in our lives. When we reduce the amount of possessions that we have, we reduce the amount of guilt that is attached to them. Be it books you were requiring yourself to read, kitchen gadgets that are supposed to make fancy dishes a breeze or craft projects that have been sitting only partially completed for months or years. It means that when you get clothes from your closet, you know they will fit and you’ll feel attractive in them. When we have less stuff to care for, it means housecleaning goes faster and success is achievable, not a far-off dream. It means less dishes to wash, less clothes to fold, less toys to pick up off the floor. It means your home isn’t full of guilt-ridden items (we should keep this because Grandma owned it/gave it/told us to), but rather items the have purpose and give you joy. Minimalism is relief. Relief to your senses, relief to your mental and emotional health. When we have removed everything that we hide behind, we come face to face with ourselves. Just us. No more hiding, no more pretending to be something we’re not. Remove the mask of stuff and learn who you really are. It means letting go of the items that we collected so people would view us in a certain light. Understanding that no amount of fancy dinnerware or party decor is going to magically turn us into Martha Stewart prodigy. 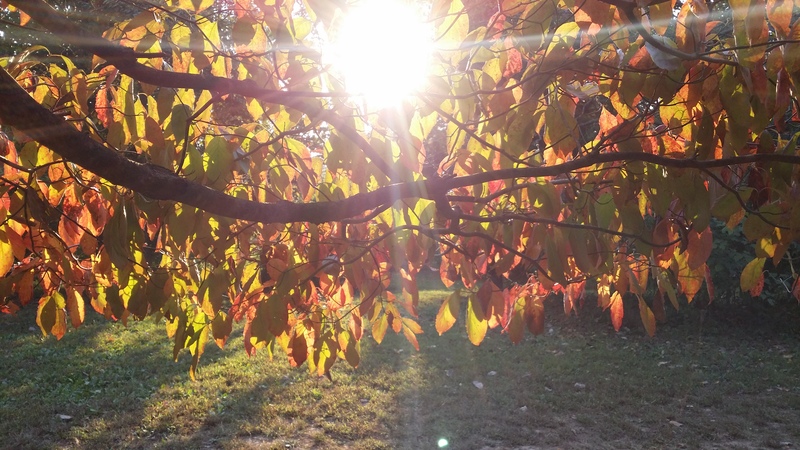 It means being real, accepting who we are [and] what our talents are, and [letting] go of the excess. Rachel, the original author, says her goal in writing her blog is to help people clear the clutter, invite calmness into their homes, and enjoy the time they spend together. She also has a Facebook page; if you’d like to check it out and keep up with her posts, click here. I hope you enjoyed her words as much as I did.